Last July, I reported on Bobbi Style’s brainchild, the Access 2 Foundation. 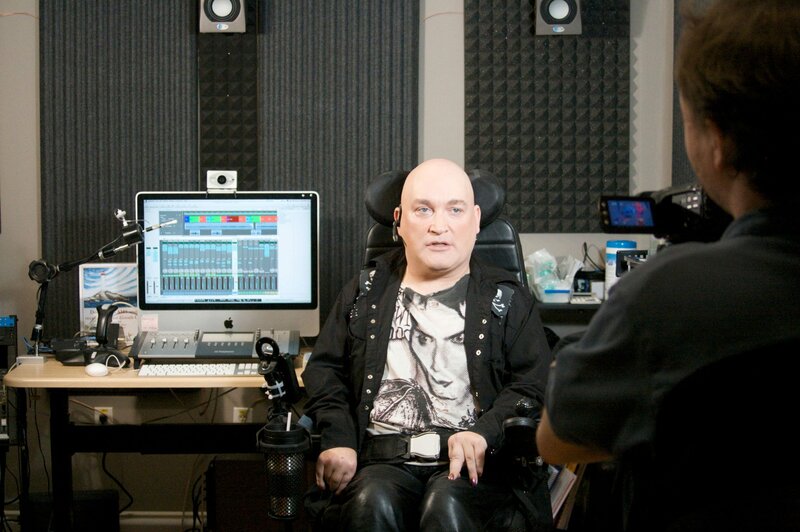 In a nutshell, Bobbi is breathing life into his dream of providing disabled-accessible music studios to all musicians. Since July’s post, he has been tirelessly rolling forward (literally! ), not only gaining financial and physical support, but also opening his first Access 2 studio near his home in Coquitlam, British Columbia, Canada. Some of the funding is a result of the hard work of musicians that have committed to donating their time and talent to create tracks for sale. Proceeds are then channeled into the Access 2 project. 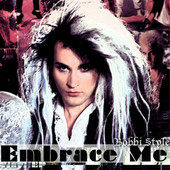 Bobbi, himself a wildly gifted singer/songwriter who started out as a vital part of the 80s goth/new wave scene (and continues to record to this day), has loaned his enormous talent to several tracks that are now available for purchase on iTunes. Do yourself a huge favor; if you haven’t already done so, check out the whirlwind known as Bobbi Style. Then, do two very positive things with your money: purchase some great music for your library, and help support a worthy project created to ensure that all musicians have the chance to keep our world full of the music we love. That sound you hear to the north is not the rumble of a summer afternoon thundershower. It’s not the roar of a fast-approaching tornado, nor a slow-moving, yet powerful hurricane. That whirlwind off in the distance is the sound of a dynamo going from the usual thousands of revolutions per second to about a million. The dynamo has a name—Bobbi Style—and the source of his energy is Access 2. I showcased this perpetual-motion musician last fall (check out the post here). The article discusses Bobbi’s dream of “Bob-friendly” disabled-accessible studios to accommodate all musicians comfortably, no matter their physical limitations. Since then, Bobbi has formed the Access 2 Foundation, sent out a call for help to a world-wide music community, and the responses have been overwhelming. He is closer to realizing a dream that will benefit countless of musicians who would otherwise be physically deterred from sharing their creativity. Bobbi has asked people like me to get his vision out there, to see if there are folks who can help to make it happen. He has shared with me that to even get one studio up and running, along with all of the special considerations needed to make the equipment and the location itself handicapped-accessible, it costs a minimum of $30-60,000. But, being the driven and optimistic man that he is, he has not let that daunting proposition stop him. Already, he has completed work on a studio in Vancouver, British Columbia. There are further negotiations in process for studios in California, Nevada, Florida, and several in his native UK. He needs assistance to make these visions a reality. All he is asking for is a donation of time, talent, or treasure, whatever you feel comfortable with, to make his dream come true. Time – Volunteers are needed to promote, advertise, and help with setting up the studios. Treasure – Items needed include: music equipment and accessories, instruments, memorabilia that can be auctioned, studio space, and cash. It’s even helpful to go to the Access 2 site on FaceBook, “Like” it and leave a comment. Bobbi appreciates any show of support for this important cause. Whatever you feel you can do, please contact Bobbi directly at bobbi.style@access2foundation.com. Be sure to familiarize yourself with this amazing artist. If we meet even one extraordinary person in our lifetime, we can consider ourselves fortunate. With the advent of the Internet and an ever-widening circle of international acquaintances, I have had the good fortune to meet several such people. 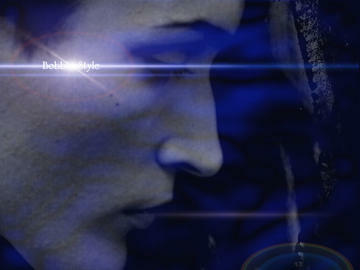 The latest person to enrich my life is a gifted and outstanding musician named Bobbi Style. I’ve only “known” Bobbi for a short time, recently making his acquaintance on FaceBook. But everything I have read about him and listened to by him since then points to an immensely interesting person whose story I feel compelled to share. Along with New Wave and synthpop, my favorite 80’s music genre is Goth. Peter Murphy, Love & Rockets, and The Damned are a few 80’s Goth artists that rapidly come to mind. Imagine my delight when I was directed to a Bobbi Style 80’s-era music video on YouTube and discovered that his favored performance genre is….Goth! After sitting with my mouth hanging open in shock wondering where the heck I was when this dynamo was out conquering the world, I fell in love. Bobbi Style was born with cerebral palsy, leaving him wheelchair-bound. He never let this disability get the better of him. Instead, he overcame the obvious obstacles – not only the physical, but the inherently prejudicial public re actions to a disabled Goth-band frontman. He achieved this with grace and dignity, and in his native UK, Bobbi became quite the cult figure with a large, hard-core group of fans. In an interview with NX Live Magazine, Bobbi recalls that he first got into music around age 5 as a drummer, then guitarist and bassist. In his early teens, and when his disability would not allow him to maneuver around a drum kit any longer, he found himself as a singer for the school band, calling upon such influences as Gary Numan, Japan, Generation X, and Siouxsie & The Banshees for inspiration. Sounds like an absolutely winning combination to me. In addition to the above-mentioned, Bobbi also cites the following as influential presences: Sisters of Mercy, The Cult, and The Mission. 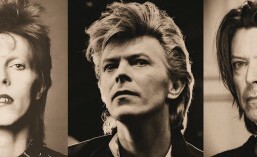 The very best of each can be seen in Style’s 80’s clips on YouTube (see below) that tease us with just a sampling of what this incredible man can do. Speaking of a “can do” attitude, Bobbi Style has never taken his disability and limitations for what they are, and just cut his losses. This is a man who decided at an early age that he was going to rise above what others felt was a disadvantage, and make the most of his life. 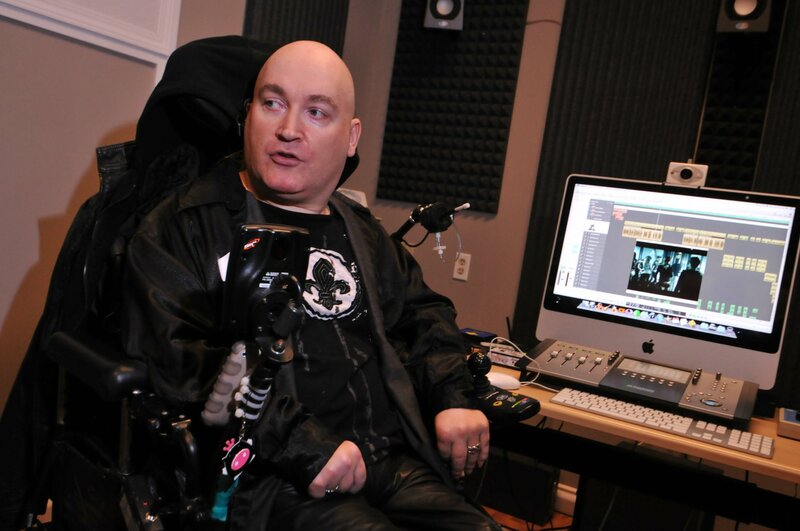 Content in his own skin, and with a history of successes and triumphs behind him, Bobbi Style now focuses that endless supply of energy on helping other musicians with disabilities. Style, a native of the UK, now lives in British Columbia, Canada, and is very active within a group known as VAMS (Vancouver Adapted Musician Society) founded in the late 1980s to support and promote musicians with physical disabilities in the Metro Vancouver area. Style donates his time, talent, and proceeds from recording, promotions, and sales to help his fellow musicians. He is also launching a charity called “Bob Friendly” that will raise money to construct disabled-friendly studios around the world. If you think you’re having a bad day, check out some of the following links and get to know a man that has not let what life has thrown at him get him down. 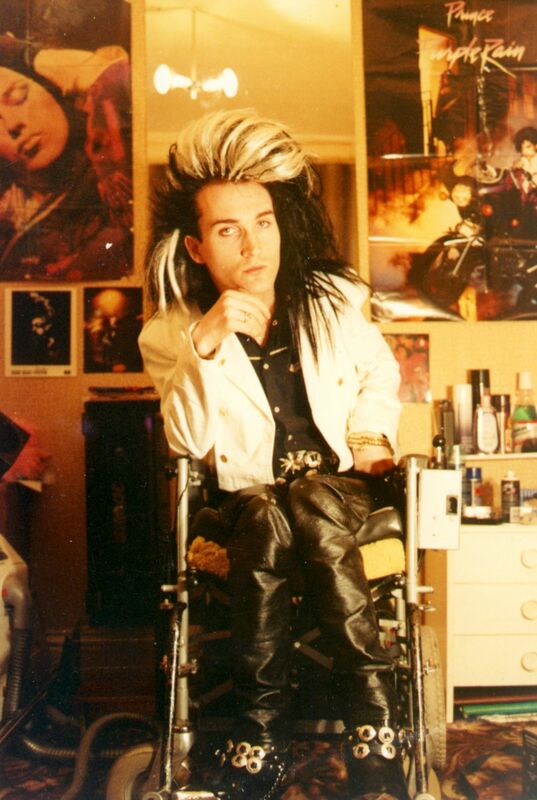 Bobbi Style is more than just a gifted 80’s Goth artist – he is an inspiration to many, a militant advocate for disabled people of all stripes, and a wickedly funny man. My life has been greatly enriched by our chance meeting (thanks to Eighties Everafter) on FaceBook. 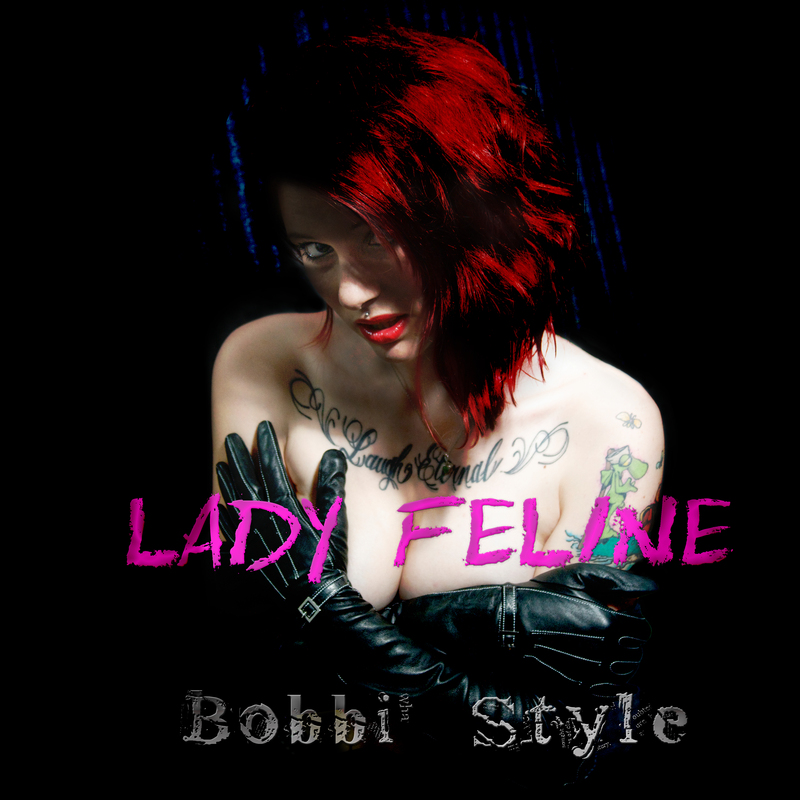 Bobbi has re-released “Lady Feline” on iTunes. Check it out here. Note: Be on the look-out for a re-release of “Embrace Me” – that’s a personal favorite of mine.